While Jake and I were away in Auckland we got to pick up our wedding bands! Jake got me my dream engagement ring from Tiffany and Co and I wanted to make sure we got the matching wedding bands to match. He brought my ring while we were overseas in Australia which he managed to keep hidden away until we were back in New Zealand without me knowing (this is a lot harder than you may think) It's quite hard to get Tiffany and Co jewellery in New Zealand. 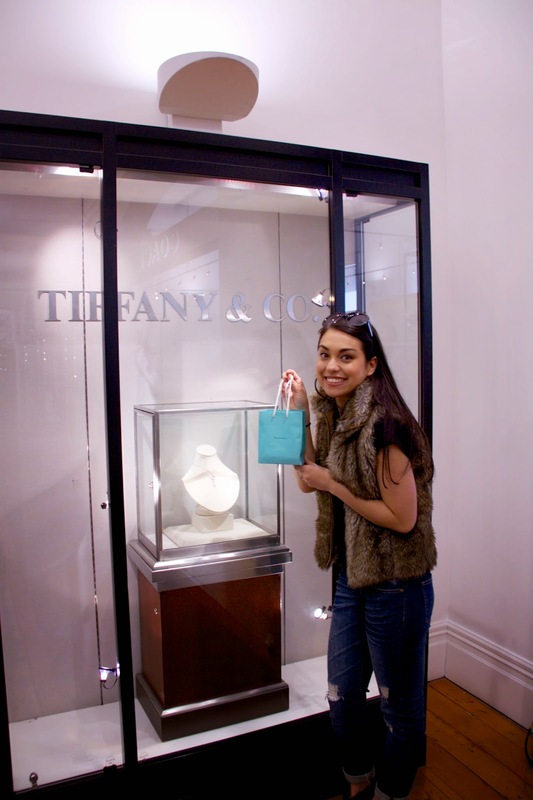 I was thinking I would have to do a trip to Australia to pick up our wedding bands but I managed to find out that DFS in Auckland stock Tiffany and Co! They had to place a special pre-order from the States to get our rings in store. I finally managed to pick up our two little blue boxes while we were in Auckland! To be unveiled on our wedding day! How exciting! You must be pumped that everything is coming together! I have to admit I find it so strange to hear how hard it is for you to get Tiffany jewelry. I feel like they're everywhere!